The ability to automate is very powerful and has been on the forefront of business and industry growth since the dawn of the industrial age. Technology and software have given us the ability to automate repetitive tasks without having to hire employees. Because these things are so widely available, the playing field has been leveled allowing smaller businesses to effectively compete with the bigger players. This is where inbound marketing and marketing automation intersect. The big benefit of marketing automation for small-medium businesses is that it enables you to set up scalable processes largely on autopilot designed to generate new business and to nurture relationships with your existing customers. Why aren’t all small businesses automating their inbound marketing? Not to put too fine a point on it but that sh!te can be expensive! If you can afford it then yes, Hubspot, Marketo and the like is exactly where you should start. They have great products. 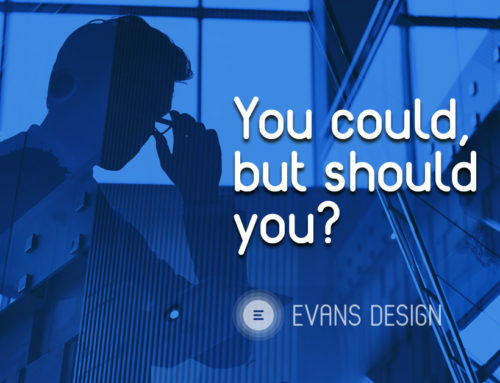 Evans Design has our Hubspot inbound marketing certification and we currently have several clients whose inbound and outbound marketing efforts we manage using the Hubspot platform. In terms of closed-loop analytics, resources and usability, Hubspot is great BUT it can cost you well over $2,000 a month to get started and it only goes up from there. That’s a hefty price tag for most small businesses that are also staring at the learning curve. Small business owners have a reputation for identifying problems and solving those problems themselves. The ‘ol bootstrap method of getting it done. Unless you have knowledge in web and marketing technology though, you probably aren’t aware that you can build your own marketing automation suite very inexpensively. The number one problem facing any business owner is getting and keeping customers and in this inbound marketing book we’re going to show you a step-by-step way to build your own automated inbound marketing system using free and low cost tools. Your first priority is building a mobile-first website. Why? Because everyone has and uses a smart phone and the ways in which they use those devices is only going to increase. In short, smart phone screens are your future. 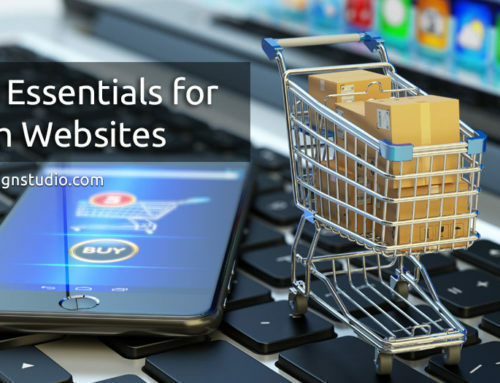 Depending on what industry you are in or what kind of business you are running, you can think of your website as the virtual equivalent of a brick and mortar store or maybe as your greatest salesman or a customer factory. PRO TIP: The domain name and the hosting account should be owned and controlled by the company. No matter how you see it, your website and your domain name are business assets that you should own outright. If you are just getting started and need guidance, contact us and we’ll help you through that process for free and with no obligations from you. Unless you have a great reason not to, you should absolutely build your website with WordPress which is a free and extremely user friendly content management system (CMS). 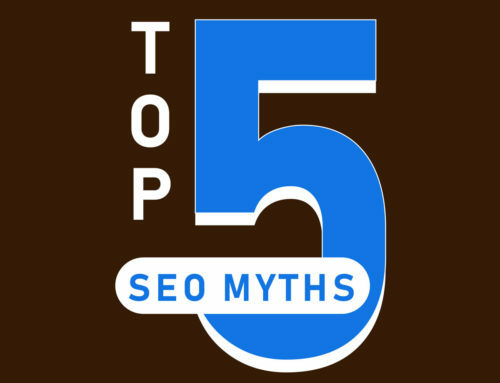 Don’t fall for the myth that because it is free that it isn’t worth using. A CMS is the structure and framework of your website, or your salesman’s skeleton if we’re sticking to our metaphor. WordPress is a free, open-source CMS used by 59% of all websites using a CMS – which translates into 29% of all websites. If you can use Microsoft Word you can use WordPress. WordPress’ popularity also means that there is a vast library of resources and a vast talent pool of developers and contributors. The talent and support in the WordPress community is the secret sauce. The fact that everyone – including web hosting companies – have deep integrations with WordPress. Installation, updates, backups, security, plug-ins and extensions are all either automated or only require pushing a button. If you have the budget, then spend a little bit to have a WordPress developer set this up for you. The initial setup can be time consuming so this might be a good place to outsource. How you choose to spend the time you save can give you a high ROI. If you have more time than money and want to handle this yourself, then do yourself a favor and buy a premium WordPress theme. Given the choice, we build all of our websites on the Avada theme: https://avada.theme-fusion.com/. It is the top selling theme on Theme Forest (www.themeforest.net) and the only theme that Theme Fusion works on. For $60 you can have premium functionality, stability and continued support into the foreseeable future. We believe in it so much we have put together an online course detailing exactly how to build a website like this one. 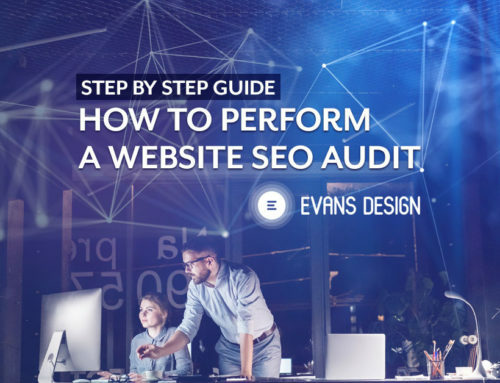 This course includes video and an interactive PDF that will walk you through exactly how to build a site like this one. Sign Up to stay informed. Domain Name: Expect to pay $30 per year (or less in some cases) for your domain name. Related: Learn more about what impacts website design cost. I worked for a guy once that said “If you can be accurate to within a thousandth of an inch, why wouldn’t you be?” That doesn’t exactly translate into digital marketing because it is as much art as it is science but it is built on software and software is precise. This precision and repeatability mean that you can measure and analyze every step of the customer journey. And when you can measure and analyze it, you can manage and improve it. As in Step 1, if you have the budget, Hubspot’s closed-loop analytics is pretty great and you get enterprise level data. It is called ‘closed-loop’ analytics because it ties the data to a specific person, and if used correctly, that makes the data highly actionable. That’s Hubspot’s secret sauce and that sauce is pricey. Thankfully you don’t need enterprise level to be successful. A common pitfall is to become paralyzed with data early on. This method will help you simplify the data so you can track key metrics that you can then build on and customize as you get better and grow. Google Analytics and Google Webmaster Tools are free and very easy to install. If you did yourself that favor we mentioned earlier and purchased the Avada Premium WordPress theme, there is a place inside the theme options for you to paste the tracking code. That’s it for installing. 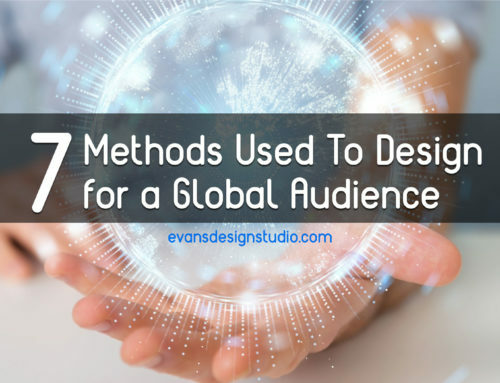 While Google Analytics is great and will give you more information than you need, you have to do a lot of looking and sorting to get to your actionable data. There are many free and premium plugins in the WordPress library that simplify, report on, and present the data as part of your dashboard inside your site’s WordPress admin area. 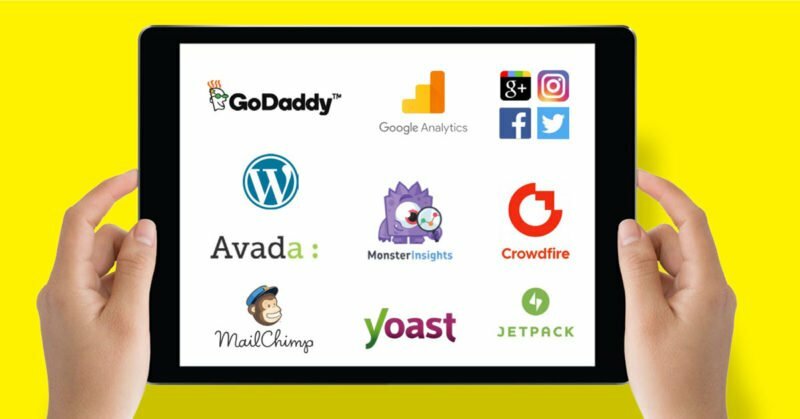 JetPack and Monster Insights are two free plugins that we find very useful and reliable for general tracking. Because we recommend a holistic approach to inbound marketing, social media should play a significant part in your digital plan. Facebook should be the entire social strategy conversation for a lot of companies but because of Facebook’s Pixel and the data you can get from using it, Facebook should be a serious part of every company’s social strategy. PRO TIP: You should install Facebook’s Pixel as soon as possible regardless of your intent to advertise on Facebook. The longer it is installed on your site the more data Facebook can put together about your site’s visitors which means when (not if) you advertise on Facebook, you’ll be in a better position to precisely target ideal customers. Related: Free EBook: Facebook Ads Guide for Beginners. One of a business’ greatest assets in the digital age is its contacts list because that is where lead generation efforts begin. There are many ways and apps available to maintain, manage, and grow your list of contacts but the best ones have built-in marketing features that you can leverage when building your inbound marketing system. Again, Hubspot handles all of this in one central place but it is still expensive and honestly their CRM system isn’t perfect. Which is why Hubspot is deeply integrated with Salesforce whose CRM is the gold standard. The two of them together are an amazing Inbound Marketing System but Salesforce is also pricey. If you can afford it though, that’s the way to go. The ability to communicate directly with qualified leads is what we’re after with inbound marketing. Email is the cornerstone of that communication plan because everyone has and uses it which is why we recommend starting with a free MailChimp account. We prefer MailChimp over Constant Contact the way we prefer Coke over Pepsi. Our experience is they are both great but as a rule we always err on the side of the monkey. MailChimp integrates directly with WordPress so you can quickly add forms on your website that let people join your mailing list or provide you their contact information in exchange for a download or coupon. You can be up and running with that functionality in minutes without knowing any code. It is a simple copy and paste into the appropriate place in your WordPress admin area. MailChimp also offers other handy inbound marketing features and excellent reporting. As you build your database of contacts inside of MailChimp, and begin to interact with them more, you’ll develop in depth and actionable data about them individually. This data will help you begin to close the loop and head towards a system like what you get from Hubspot. If you pay for the MailChimp upgrade, you get access to several excellent features. Among them are enhanced data and reporting but the one we get most excited about is workflows. You don’t need this upgrade in order to create effective workflows but for a little bit of money you can develop custom and sophisticated workflows within their system making MailChimp a convenient and affordable inbound marketing system. If you don’t want to pay for the MailChimp upgrade you can achieve a simple communication system using a few free plugins for WordPress. Contact Form 7 is a great form plugin that comes bundled with the Avada theme. It lets you quickly and easily develop and implement forms that let users sign up for newsletters or downloads. You can set up each form to email you their form data, trigger a follow-up email creating a simple workflow. If you install Flamingo you can store all user form data inside your WordPress installation so you always have a record of who filled out which form. You can install the free plugin MailChimp for WordPress and automatically add their information to your free MailChimp account so you are always communicating with the most up-to-date contacts list. Remember that talk we had about smart phones and how like it or not, that’s your future? The other part of that conversation is social media apps. The online marketplace is driven by social interactions and validations and because of that the bare minimum you’re going to need is a Facebook business page, Google+ page, Twitter business account, and Instagram account. That is the bare minimum you’ll need to look like a legitimate business. The good news is you don’t have to actively manage each account individually. You can post to each of them at once using the JetPack plugin on your WordPress website each time you publish a new page or post. You can link these accounts together so that if you post to one it automatically posts to the others. For example, you can post to Facebook from Instagram and set Facebook up so that it automatically posts to Twitter when you post to Facebook. PRO TIP: Even if you don’t intend building out a social media presence, create as many of these social accounts as you can using the same Name Address Phone (NAP) info. 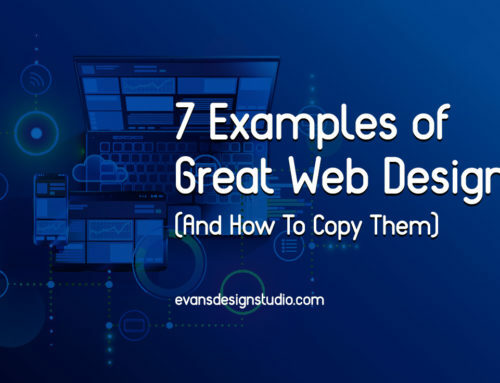 These are called citations and help with your site’s digital reputation. These coupled with your Google+ page helps you rank for local searches. Your social media presence is never something that can be 100% automated, even with a high-priced marketing automation tool. Social media marketing is only effective if you take the time to interact and on places like Facebook, you are judged by how fast and how well you interact with people. What you find and share, or curate, is where social media marketing should be automated. There are a lot of was to accomplish this. Hootsuite is a very robust and popular option with a free and premium subscription model. We have also recently fallen in like with a free app called CrowdFire. It is excellent and integrates well with the major social media sites. With these marketing automation tools in place you will have the infrastructure you need in place to start implementing campaigns and workflows and growing and refining your inbound marketing system. Professional Setup and Design: Optional but recommended because of the ROI fom time saved. Maintenance & Support: Updates, Backups, etc. Find a provider willing to prove training to you or an employee in order to keep these costs minimal. If it feels like you’ve cobbled together something akin to Frankenstein’s Monster, it’s because you have. Not exactly but close. What you’ve put together is a better looking and more socially acceptable version that’s nice and works for you in a positive way without trying to kill you for not being a better creator. The primary purpose of all of this is to turn your website into a lead generating machine. To start with you should aim for at least 1 campaign aimed at each item but more is better. The anatomy of a basic automated workflow is pretty simple which makes them easy to implement when you have all the pieces in place. Below is a bare-bones example workflow for each item above. At this point in the process you should be aware of what all the moving parts are and the role they play in your Inbound Marketing system. You shouldn’t expect to convert a high percentage of visitors but you can max that number out by optimizing your system. People are stingy with their information because everyone asks them for it and just about everything they want to know is easily found online for free. The art to this is figuring out what your visitors want and then offering it to them. A quick Google search will turn up millions of results and all you have to do is be different or better or first or just in time. Getting traffic is easy these days and it doesn’t have to break the bank. All you need to do is go buy targeted traffic from Facebook or Google Adwords and send them directly to the page where your offer is. The good news is the longer you add great and relevant content to your website and the better you get at email and social media campaigns, the less you’ll need to pay for traffic. However, until you get there, don’t be afraid to buy targeted traffic. You are the business owner which hopefully makes you the subject matter expert. When it comes to Inbound Marketing Automation what you need to know and understand is the strategy behind it all and how the system works. You don’t necessarily have to build each step in each of the workflows. Race car drivers need mechanics. The driver doesn’t need to know how to build an engine to know how well the car is performing. Reach out and let us know what you thought of this article. We’re happy to answer any questions and help in any way we can.